Preseason or not, this is what the world was waiting to see. After getting selected as the 1st overall pick in the 2018 NFL draft, it was finally time to see what Baker Mayfield could do on the big stage in a pro game. 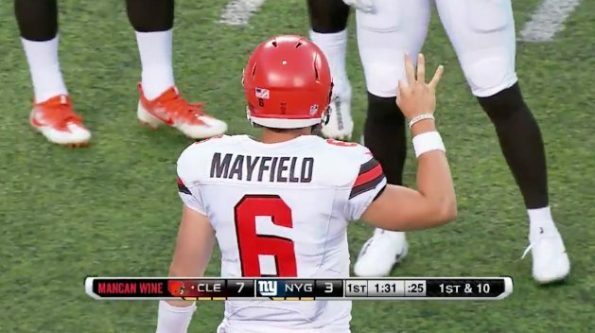 With about 7 minutes to go in the second quarter and with the Browns at the goal-line, Mayfield threw for his first career touchdown, albeit it being in the preseason.